This month is very breakfast heavy! One of my favourite things about being off work is the ability to have breakfast at home or to go to a cafe or restaurant. I get to work by 7.30 and so I eat there- a bowl of cereal in my hand while writing learning objectives on the whiteboard at the same time isn't the most relaxed start to the day! 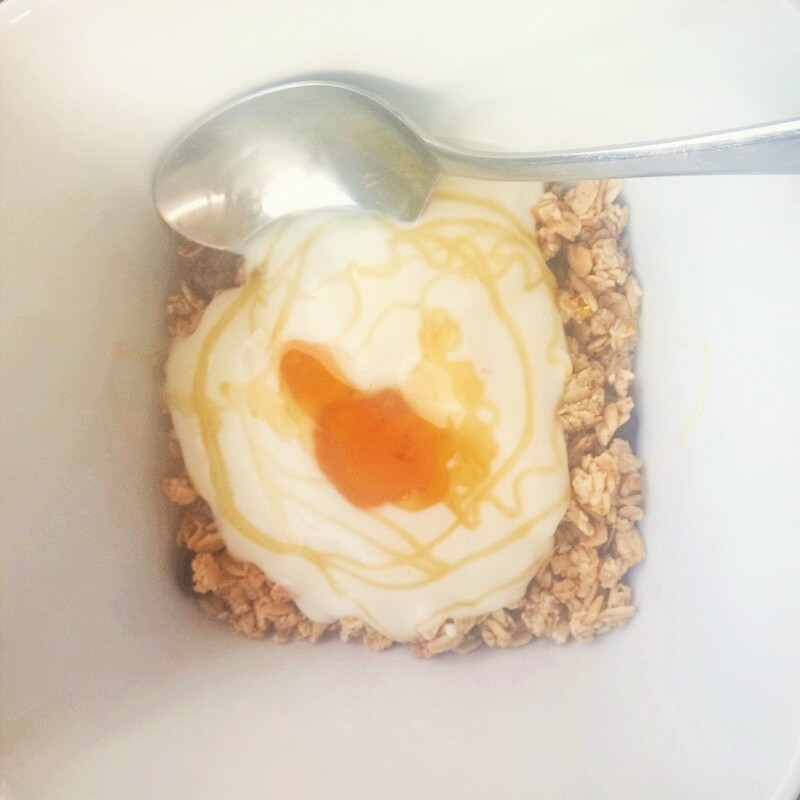 So I've been enjoying eating granola with yoghurt and fruit, maybe some honey or golden syrup too. Eating this while reading or watching some daytime TV is such a nice way to begin a day. I also headed back to Gas Street Social for another relaxed brunch there. 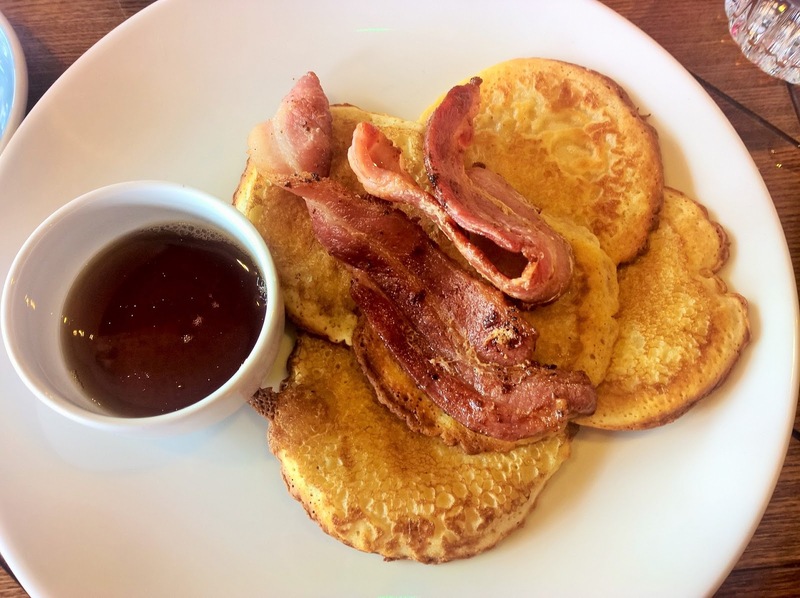 These pancakes with bacon and maple syrup were great on a lazy Sunday morning. The ability to add a glass of Berocca to your order is a touch of genius. Edd and I also enjoyed a relaxed brunch at Cafe Opus at the Ikon Gallery. I had an urge for smoked salmon so I went for something I never usually choose- Eggs Royale. I'm not a big hollandaise fan so I was taking a bit of a risk here. I can report that Cafe Opus' hollandaise is beautiful. 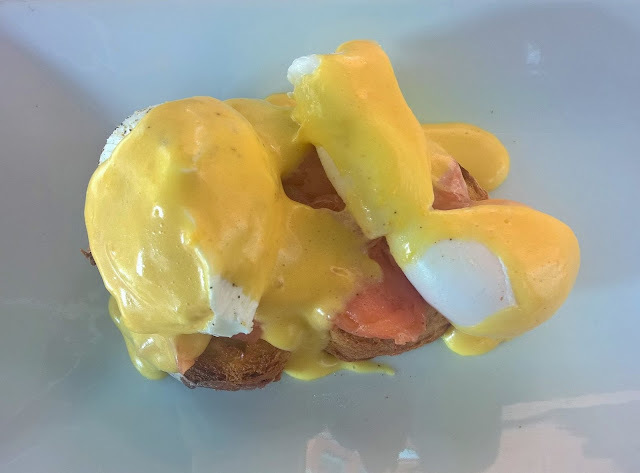 The balance between the sharp lemon and creamy egg was perfect, especially with expertly poached eggs and soft smoked salmon. We sat outside in the sunshine and it was a delight. It was really useful. If you have a blog and pinterest you should definitely check out their business page as there is so much on there. As well as all the useful information we were treated to a lovely little breakfast buffet. 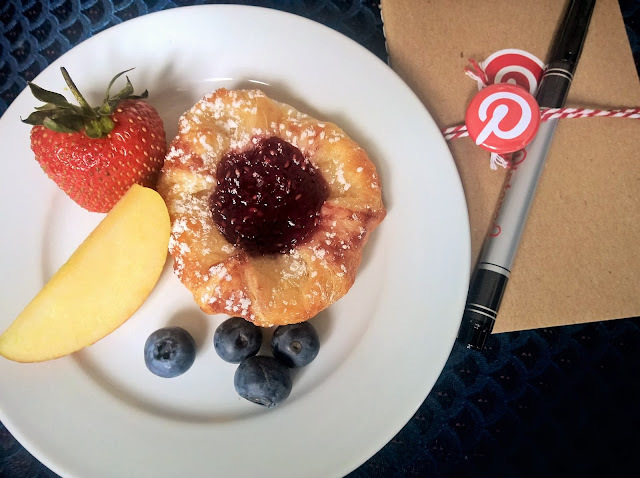 I had some lovely fruit and an amazing pastry to snack on. Deliveroo is becoming a bit of a habit!! I definitely need to do a proper post on them. 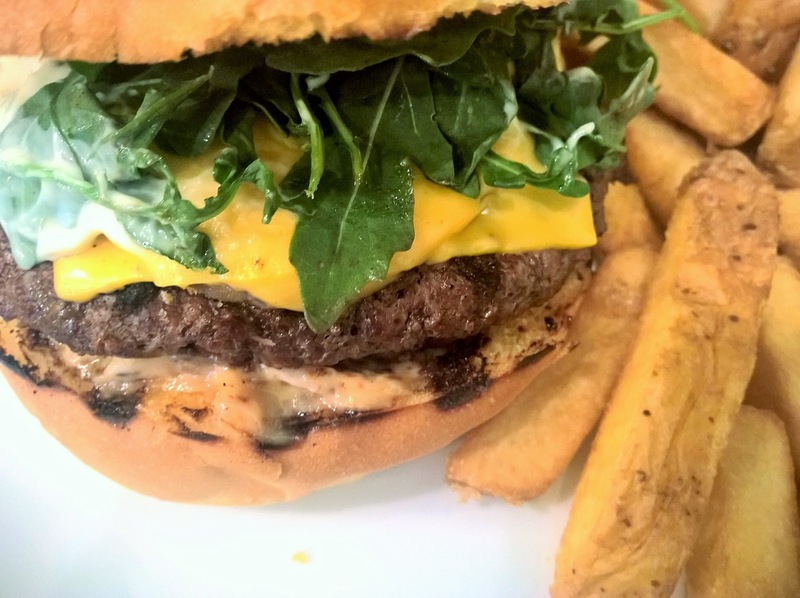 We tried out a couple of the big names this week- Gourmet Burger Kitchen and Handmade Burger. Gourmet Burger Kitchen delivered better as it was in a really sturdy box. Both tasted excellent of course. 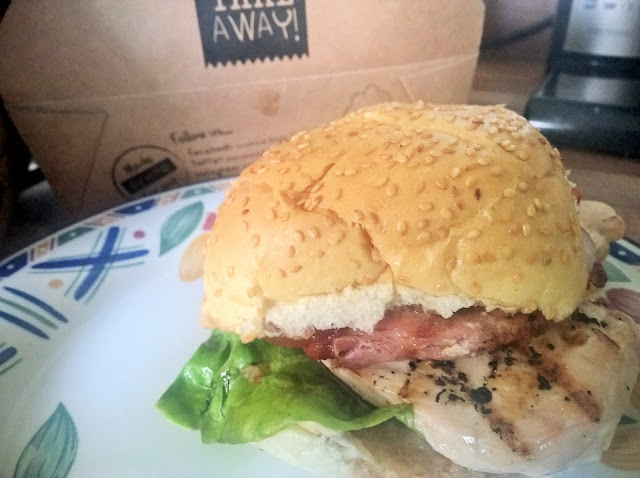 I'd still pick Handmade Burger to go and eat in the restaurant as I love their sourdough buns and proper chips but Gourmet Burger Kitchen is better for delivery. I really appreciate when parents give you a present at the end of the year. I know money is tight for a lot of parents, especially with holidays coming up, so you know that it is coming from the heart. I had more flowers and less chocolates this year which is definitely good for the waistline! 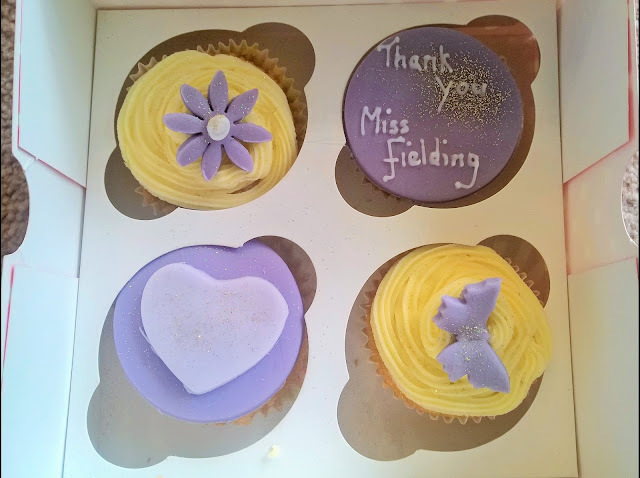 However I did love these cakes, which I believe the Mum had made herself- look at the awesome icing. A couple of weeks ago Edd and I had such an urge for roast chicken but didn't want to go down the whole Sunday dinner route. 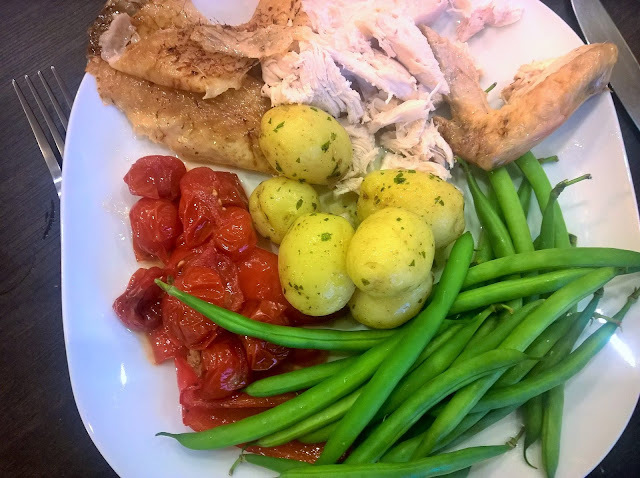 So I did a simple roast chicken rubbed with an Oxo Herbs and More garlic and parsley, green beans, roasted cherry tomatoes and herby new potatoes (microwavable, in a bag, I had a hangover...) It was such a tasty meal and exactly what I wanted. Completely forgot to trim the beans though. 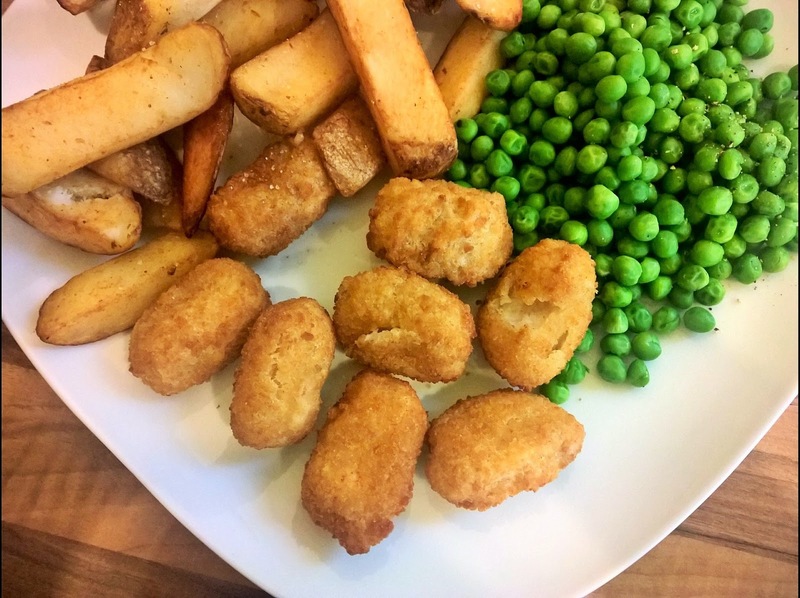 The following Sunday we had an even lazier meal- scampi, chips and peas! I enjoyed it so much though. Sometimes you just want a pub kids meal. Last week I met my friend Sophie in town for a spot of lunch and a mooch round the shops. We headed to Sixteen Bakery, next to Faculty Coffee. 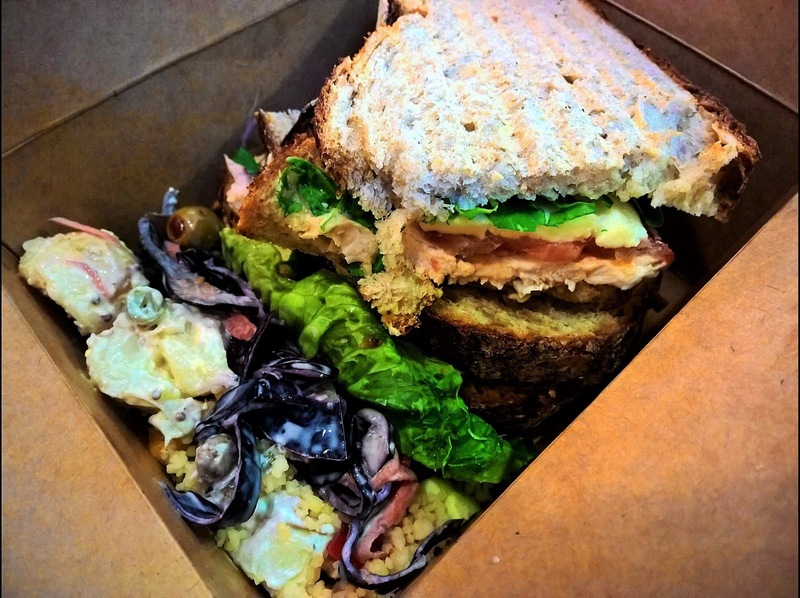 They have the most amazing display of sandwiches and salads, all fresh and at very reasonable prices. My chicken, mozzarella, pesto and tomato sandwich, served warm was about £3.70 and you could add on a mixture of salads for only £1. And these aren't just any salads. We're talking lemon potato salad, panzanella, herby cous cous. Amazing. Then we took our boxed lunch next door to Faculty and had a lovely chat over tea and sandwiches. Edd's friends came to stay and we headed to Purecraft bar for beer and food. I'm not even into beer that much but they have a massive selection and a variety of glass sizes so you are bound to find something you like. Food wise, think top notch pub grub. You've probably heard about their scotch eggs- they are that good. Go now- try the beer ketchup too. On my most recent visit I had fish and chips served with tartar sauce and fancy mushy peas. 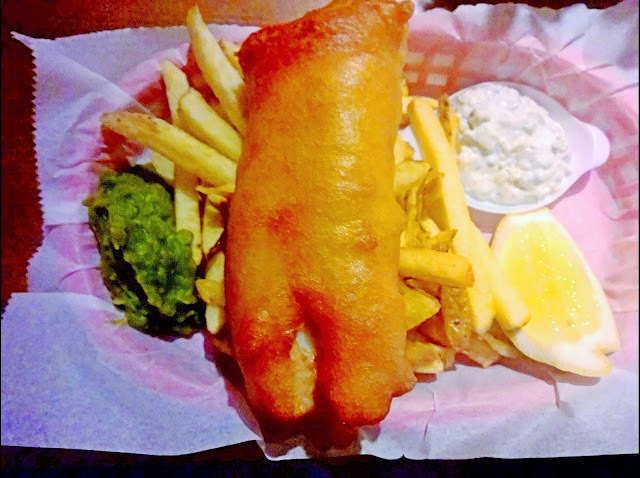 The fish was tender, flaked away beautifully and so is a contender for best fish and chips in Birmingham.